Featuring guest poser from USA, bodybuilding great Ray Mentzer. See a young Steve Avery competing as a teenage bodybuilder. The stars also includes Mo Bhatti and Christine Charles. 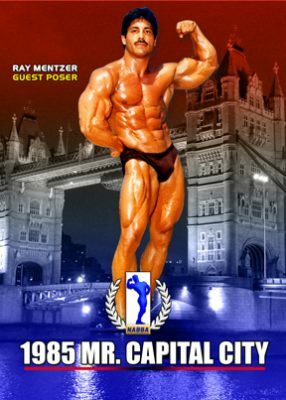 Featuring guest poser from USA, bodybuilding great Ray Mentzer. See a young Steve Avery competing as a teenage bodybuilder. The stars also includes Mo Bhatti and Christine Charles. Teen Mr America – AAU, 10th. Mr America – IFBB, Tall, 2nd. Mr Eastern America – IFBB, Tall, 3rd. Mr Eastern USA – IFBB, Overall Winner. Mr Eastern USA – IFBB, Tall, 1st. Junior Mr America – IFBB, Tall, 1st. Mr America – IFBB, HeavyWeight, 2nd. North American Championships – IFBB, HeavyWeight, 3rd. Mr USA – IFBB, HeavyWeight, 2nd. Mr America – AAU, Medium, 6th. Mr International – IFBB, HeavyWeight, 3rd. Mr USA – IFBB, Tall, 1st. Mr USA – IFBB, Overall Winner. USA vs the World – IFBB, HeavyWeight, 2nd. Mr America – AAU, Medium, 1st. Mr America – AAU, Overall Winner. World Amateur Championships – IFBB, HeavyWeight, 2nd. Canada Pro Cup – IFBB, 9th. Grand Prix California – IFBB, Did not place. Grand Prix New England – IFBB, 11th. Night of Champions – IFBB, 9th. Night of Champions – IFBB, 10th. World Pro Championships – IFBB, 7th.